Glaucoma is the end result of a variety of diseases, and is analogous to heart failure or liver failure, each of which can result from a number of different causes. Glaucoma is a progressive optic neuropathy (a disease of the optic nerve) characterized by a specific pattern of optic nerve head and visual field damage. Damage to the visual system in glaucoma is due to the death of the retinal ganglion cells, the axons of which comprise the optic nerve and carry the visual impulses from the eye to the brain. Glaucoma represents a final common pathway resulting from a number of different conditions that can affect the eye, many of which are associated with elevated IOP. It is important to realize that elevated IOP is not synonymous with glaucoma, but rather is the most important risk factor we know of for the development and/or progression of glaucomatous damage. Other risk factors for glaucomatous damage besides elevated IOP have really only begun to be explored in the past decade. Much remains to be discovered, so that new approaches to treatment can be devised. We can refer to these other risk factors as non-pressure-dependent risk factors, and the damage they cause as non-IOP-dependent damage. This will described in more detail below. The most intensively investigated cause of non-pressure-dependent glaucomatous damage is the possibility of an insufficient blood supply to the optic nerve head and adjacent retina. This is presently believed to be a major risk factor for glaucomatous damage. However, other hemorheologic (flow properties of blood) abnormalities, such as increased erythrocyte agglutinability (tendency for red blood cells to stick to each other), decreased erythrocyte deformability (ability of the red blood cells to change shape so that they can squeeze into capillaries), increased serum viscosity, or increased platelet aggregability may also play a role, as may certain cardiovascular conditions, such as atrial fibrillation. Other possible risk factors, most of which have been as yet little explored, include low blood pressure, abnormally low intracranial pressure, autoimmune phenomena, sleep apnea, sleeping with the pillow or one's knuckles pressed against the eye, an abnormally hard or soft lamina cribrosa (the stack of platelike "perforated wafers" through which the optic nerve cells pass through the eye), inherited or acquired abnormalities of the connective tissue of the lamina cribrosa, primary ganglion cell degeneration, and other as yet unconsidered possibilities. Glaucoma is not a single entity. Rather, there are specific conditions that lead to glaucoma. A specific condition has a defined cause, mode of onset, pathophysiology, and course. Intervention can potentially occur at a number of different stages, from prevention, to treatment, to cure, and to reversal of damage caused by the disease. 1. Glaucoma is a disease caused by elevated intraocular pressure (IOP). The elevated IOP damages and destroys the axons of the optic nerve, leading to progressive blindness. 2. Glaucoma can be divided into two broad types - OPEN-ANGLE and ANGLE-CLOSURE. Each of these, in turn, can be divided into primary and secondary forms. This dogma has played a major role in retarding thinking and inhibiting new approaches to understanding and therapy of glaucoma, and it should be discarded. The attempt to fit modern concepts into century-old terminology creates confusion in the minds of physicians and patients alike. Ask 5 glaucoma specialists just what exactly is primary open-angle glaucoma (POAG) and you may get 5 different answers. For instance, we use the term POAG to refer to a patient with elevated IOP and visual field and/or optic nerve damage, while reserving the term "ocular hypertension" for persons with elevated IOP but no detectable disc or visual field damage. A better term for the latter group is "glaucoma suspect," which includes both ocular hypertensives and persons with large cup/disc ratios who may have early normal-tension glaucoma but still have normal visual fields. Open-angle glaucoma implies visual field damage, but angle-closure glaucoma does not. Someone with a closed angle and markedly elevated IOP is deemed to have acute closed-angle (angle-closure) glaucoma, and one with a mostly closed angle, a normal disc, a normal visual field, and scar tissue in the angle is called "chronic angle-closure glaucoma." In some instances we use the term to describe the disc and field damage, in others the angle damage, and in still others the pressure alone. It is therefore best to understand the mechanisms of the various entities which lead to glaucoma and not become bogged down in definitions. The eye captures information about shape, color, and movement and relays it in the form of nerve impulses to the brain. The brain processes this information into the "pictures" we see. The outer, white layer of the eyeball is the sclera, a tough, leathery protective shell. The front, transparent portion of the shell is the cornea, through which light enters the eye. The cornea is much like the lens of a camera, providing the eye with much of its focusing power. The colored portion of the eye is the iris, which functions like the diaphragm of a camera. The iris contains muscles which control the size of the pupil, regulating the amount of light entering the eye. The pupil constricts in bright light and dilates in dim light, adjusting the amount of light which passes through the pupil to the retina, which is analogous to the camera's film. The two layers of cells on the back of the iris are so filled with melanin pigment that they are black, and are known as the iris pigment epithelium. They prevent light from passing through the iris anywhere but through the pupil. The difference between blue and brown irises is the amount of pigment in the front portion of the iris. The lens behind the iris is also transparent, and adjusts its shape and thickness to fine focus the image onto the retina. When we read, the eye accommodates to refocus a near image. The lens enlarges throughout life as it produces new cells. The ability to accommodate decreases steadily throughout life. Presbyopia occurs when there is not enough accommodative power remaining to read without glasses, usually in the early 40s. A cataract is an opacification of the lens, so that vision decreases and cannot be corrected by changing the power of one's eyeglasses. When the cataract is sufficiently dense to interfere with one's activities, surgery becomes necessary. The lens is held in place by the zonules, which are analogous to the ropes holding the mat of a trampoline in place. When the eye accommodates, the muscle holding the zonules against the wall of the eye tightens, loosening the hold of the zonules on the lens and allowing it to moveslightly forward and increase in thickness to refocus the image of the close object being looked at on the retina. The iris, lens, and zonules play an important role in three common conditions which lead to glaucoma - pigment dispersion syndrome, exfoliation syndrome, and angle-closure. After passing through the lens, the light enters the vitreous, a gel-like substance which serves as the shock absorber for the eye, and then reaches the retina. The retina then delivers the image to the brain via nerve signals which are sent through the optic nerve to the brain, which processes these signals into a "picture", or visual image. The anterior chamber, or front compartment of the eye, is bounded by the cornea, iris, pupil, and lens (Figure 2 - not yet available). It is filled with a watery fluid called aqueous humor, which provides the cornea and the lens with oxygen and vital nutrients. The aqueous humor also provides the necessary pressure (IOP) to maintain the shape of the eye. It is secreted into the posterior chamber (the fluid compartment behind the iris) by the ciliary body, a tiny gland which runs circumferentially behind the iris, passes between the iris and the lens into the anterior chamber, and then flows out through the trabecular meshwork, a tiny sponge-like tissue which runs circumferentially at the corneal periphery just anterior to the iris. After passing through the trabecular meshwork, the aqueous humor enters a tiny circumferential capillary called Schlemm's canal. In order to comprehend the effect of increased IOP, think of the eye as a balloon. When too much air is blown into a balloon, pressure causes it to pop. But the eye is too strong to pop. Instead, it gives at the weakest point, which is the site in the sclera at which the optic nerve leaves the eye. The optic nerve, which carries visual information to the brain, is made up of over one million nerve cells, and while each cell is several inches long, it is extremely thin - about one twenty-thousandth of an inch in diameter. Simplistically, elevated IOP compresses the axons of the nerve cells, causing them to become damaged and eventually die, resulting in permanent visual loss. Early diagnosis and treatment can help prevent this from happening. As a general rule, in the open-angle glaucomas, the eye is anatomically normal, but blockage or malfunction of the drain of the eye (the trabecular meshwork) leads to elevated IOP. In normal-tension glaucoma, the major risk factors causing the glaucoma are not in the trabecular meshwork, but act at the level of the optic disc. In angle-closure glaucoma, the trabecular meshwork is normal, but the iris is pushed against it, blocking the flow of fluid (aqueous humor) from the eye. The analogy to a sink is a useful one. In a normal eye, the faucet is always on and the drain is always open. In open-angle glaucoma, the drain gets clogged. When this happens, aqueous can not leave the eye as fast as it produced, causing the fluid to back up. Since the eye is a closed compartment, the "sink" can't overflow. Instead, the backed up fluid causes increased pressure to build up within the eye. We need to use chemical drain-cleaner (eye drops) to open the drain or turn down the faucet. If this is insufficient, we can snake the train (laser trabeculoplasty), and if that doesn't work, we need to put in new plumbing (surgery). In angle-closure glaucoma, the drain is normal, but it's covered by a stopper. We need to remove the stopper (laser iridotomy or laser iridoplasty) rather than treat with medications. Open-angle and angle-closure glaucomas are about as alike as a heart attack and a bullet wound to the heart. The disease mechanisms, the basic approach to treatment, and the prognosis all differ. And that is why the terminology is confusing. Glaucoma has been so intimately connected with the concept of elevated IOP that a detailed explanation of how these concepts arose, how they have been used in the management of the disease, and our present concepts of the origin of glaucomatous damage, which are presently in an active stage of evolution, is warranted. The average IOP ranges between 14 and 20 millimeters of mercury (mmHg). A pressure of 22 is considered to be suspicious and possibly abnormal. However, not all patients with elevated IOP develop glaucoma-related eye damage. The choice of 22 mmHg as the dividing line between normal and abnormal was based solely on statistics. Population studies in the 1950s found an average IOP of about 15.5 mmHg. Two standard deviations from the mean above this was taken as the upper limit of normal, so that about 2.5% of the population fell above this line. However, as often happens, what was a conceptual demarcation became established over a few years into a normal versus disease situation, and It became common to treat anyone with an IOP of 22 mmHg or more to lower the pressure. By the late 1960s and early 1970s, it had become evident that only about 10% of people with an IOP of 22 mmHg or more would develop glaucomatous damage. The higher the IOP, the greater the chances of developing damage. People with an IOP of 22 mmHg or more came to be termed ocular hypertensives. Again, this was a working definition, but later became treated as if it were a separate disease. Ocular hypertension merely means that a person has an elevated IOP of 22 mmHg or more but no detectable damage on optic nerve or visual field examination. If a person with ocular hypertension develops damage, he or she then becomes diagnosed as having glaucoma. For reasons stated earlier, "glaucoma suspect" is a better term, and "ocular hypertension" should be reserved just for dividing patients into different categories for clinical studies. Once a sufficient number of nerve cells are destroyed, "blind spots", or scotomas, begin to form in the field of vision. These scotomas usually develop first in the peripheral field. Later, the central vision, which we experience as "seeing", is affected. Once visual loss occurs, it is irreversible because once the nerve cells are dead, nothing can restore them at the present time. The relationship between IOP as a risk factor and non-pressure-dependent risk factors in the causation of glaucomatous damage is depicted in Figure 3 (right). The higher the IOP at which damage develops, the greater the component of pressure-dependent damage. The lower the IOP at which damage progresses, the greater the contribution of non-pressure-dependent factors. There is no magic number separating those with primarily pressure-dependent damage (so-called high-tension glaucoma) from those with primarily non-pressure-dependent damage (so-called normal-tension glaucoma). Moreover, the particular IOP at which 50% of damage is due to each of the risk factor categories can vary from individual to individual or even in an individual over time. These non-pressure-dependent factors have been primarily conceived of as causes of normal-tension (low-tension) glaucoma. However, they are likely to play a role in high-tension glaucoma as well. Underlying pressure-dependent or non-pressure-dependent mechanisms of damage may be construed as comprising a spectrum. The higher the IOP at which damage develops, the greater the component of pressure-dependent damage. Angle-closure glaucoma, juvenile open-angle glaucoma, and exfoliative glaucoma fall into this category. The lower the IOP at which damage continues to progress, the greater the contribution of non-pressure-dependent factors. A patient who develops glaucomatous damage at an IOP of 14 mmHg most certainly has a preponderance of non-pressure-dependent factors. Looking at glaucomatous damage in this manner enables us to focus on attempting to ascertain the relative contribution of pressure-dependent and non-pressure-dependent factors. A patient presenting with IOP of 40 mmHg obviously needs immediate treatment to lower the IOP. A patient presenting with maximum IOP of 18 mmHg and glaucoma (i.e., "normal-tension" glaucoma by definition) may benefit from lowering IOP, but this is done primarily because we have little other choice of therapy. In the future, this will change. 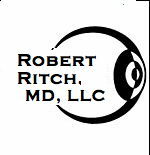 It is the patient presenting with visual field loss at IOP in the mid-20's that most likely has a multi-mechanism cause of damage. Therefore, whereas lowering IOP to 20 mmHg (i.e., "normal") will ordinarily suffice for the patient presenting with IOP of 40 mmHg, at least if the patient does not have extensive damage), whereas lowering it to 20 mmHg in a patient with multi-mechanism disease may not be sufficient. This concept also makes it easier to see how susceptibility to glaucomatous damage can change over time. Many studies have shown that "ocular hypertensives" convert to glaucoma at a rate of about 1% per year. But why do they convert? Glaucomatologists have long held that damage builds up slowly until it finally reaches a great enough extent to be detectable on ophthalmoscopic or perimetric examination. There is another possibility, just as likely, that other risk factors for glaucomatous damage may develop even though IOP remains constant. A patient who is 40 years old and in good physical condition may be expected to withstand an IOP of 26 mmHg for a long time. However, as that patient ages, and cardiovascular disease develops, the eye may not be sufficiently perfused so that it can no longer withstand that IOP of 26 mmHg. Similarly, changes in the lamina cribrosa, supporting nerve cells (e.g., astrocytes), systemic blood pressure abnormalities, development of diabetes, etc., may compromise the status of the optic nerve.